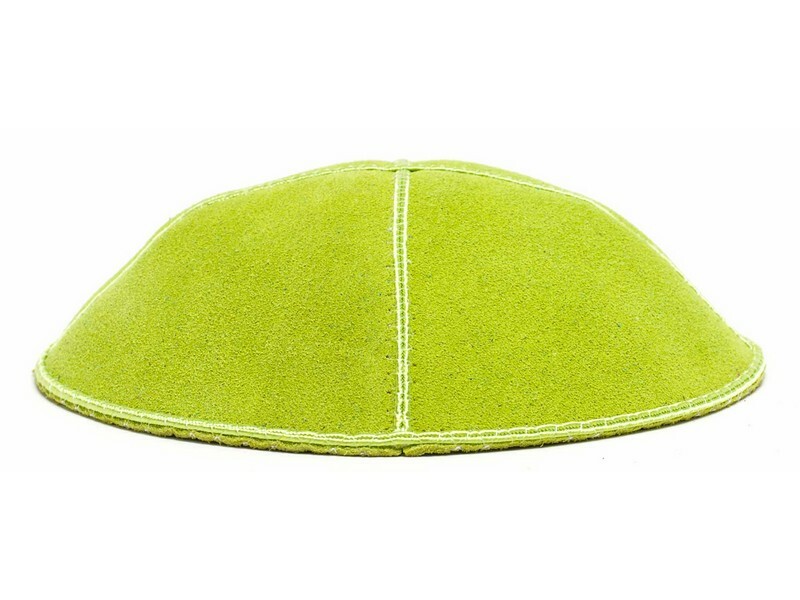 This forest green suede kippah is the classic modern and fashionable kippah. The kippah is constructed of four pieces of suede. The seams where the sections meet are attached with a thin matching color piping with visible zigzag style stitching. The base of the kippah is trimmed with the same style.